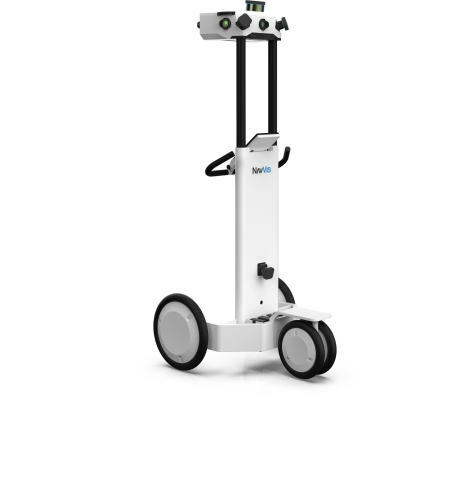 On April 18th, 2018, NavVis released their M6, a fully-integrated, cart-based system designed for large-scale indoor mapping. The M6 utilizes VLP-16 sensors by Velodyne LiDAR, Inc., which allows it to produce a 3D map of the surrounding environment. Six cameras capture 360° immersive imagery and photorealistic point-clouds, resulting in high-resolution mapped images. NavVis developed this product in response to their customers’ request for a more versatile and sophisticated system which could be used effectively with uneven terrain. In addition to AEC professionals, construction companies and manufacturers can also draw benefits from the higher data quality provided by this enhanced innovation.